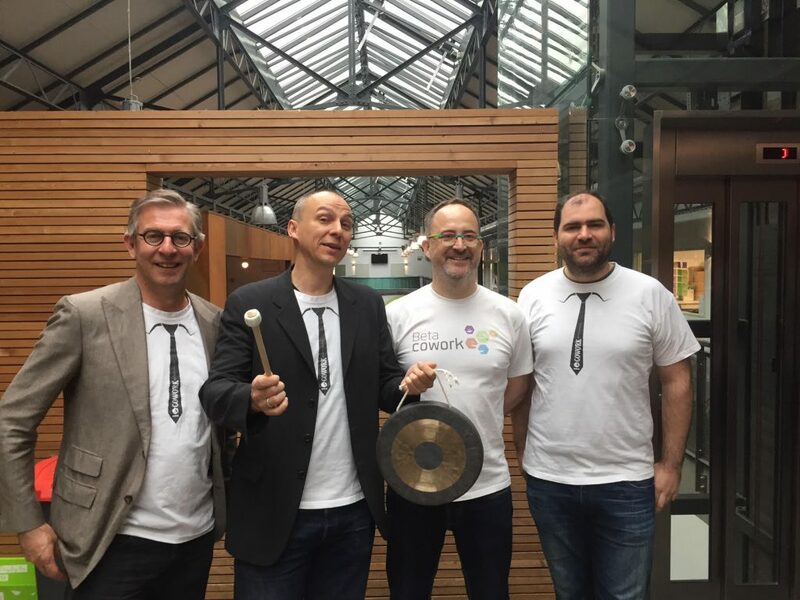 Last week I closed the deal to sell Betacowork to three of its coworkers: Toon Vanagt, Eric Rodriguez and Erik de Herdt. This is great news for me, but it is also for Betacowork and its community of coworkers. I love coworking but I don’t want to manage a coworking space any more. I want to be just a coworker and move on with new businesses and learning. Ever since I decided to sell Betacowork I’ve been trying to find the best solution for the business and the community . I first tried to create a cooperative with the members so that they would take over, but it did not work. Then I started contacting some members and coworking entrepreneurs that I thought could be a good match: interested in coworking and Betacowork, understanding coworking, looking forward to the benefits of acquiring a profitable business and to take it forward. I could not have thought of a better match than the three coworkers that have taken over. They’ve been members since the early times of Betacowork, they’ve launched their companies here, they’ve found each other and some of their employees at Betacowork… We have mixed DNA! And all this without counting all the time that Toon Vanagt has spent being my counselor, bouncing ideas back, and helping me out. Another page of the book of my life has turned over, and this gives me great relief. I’m still part of coworking, I just don’t own a space any more. The next things to do are relaxing, learning (mostly programming), and getting my motivation and energy up to launch new businesses and projects. In the last six years I’ve managed to create an amazing place to work and to bring together an extraordinary community. I will do all my new stuff while working from Betacowork: it is the best place on earth to work from. Why would I go anywhere else or, much worst, stay at home?